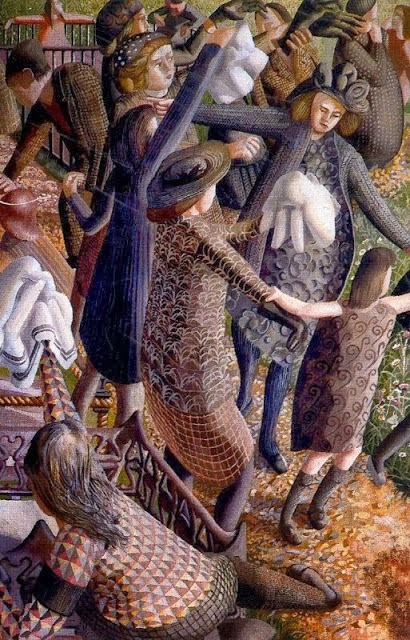 The artist, Sir Stanley Spencer, was famous for the religious motifs in his paintings, but equally so for being true and loyal to his hometown Cookham in Berkshire where he was regularly seen pushing a pram which held his easel and canvas, and for wearing pyjamas under his suit if he was cold! I've done that sometimes - surely the mark of an artist?!! 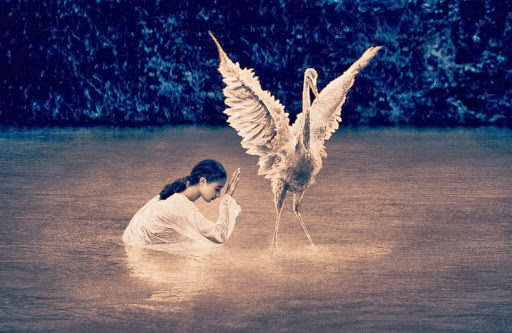 The second image is of course from Gregory Colbert's Ashes and Snow collection, which surely is a form of divinity. I am waiting for light to pour through me..a lovely image..
"the days are sand and sea/and we know nothing."